So, the big one: Angkor Wat! Travis, Mike and Tracey have all been telling me it’s an incredible sight and that Siem Reap is incredible too. I must say, I was pretty sceptical. I’m the kind of person who will visit the Eiffel Tower, look at it for about 2 minutes, then turn around and watch people watching it instead! But I must say, for the first time since my first trip to Ha Long Bay, I’ve had a tourist attraction live up to the hype. It’s absolutely incredible, and I want to a) let you know exactly what to expect, and b) why it is as incredible as people say it is. 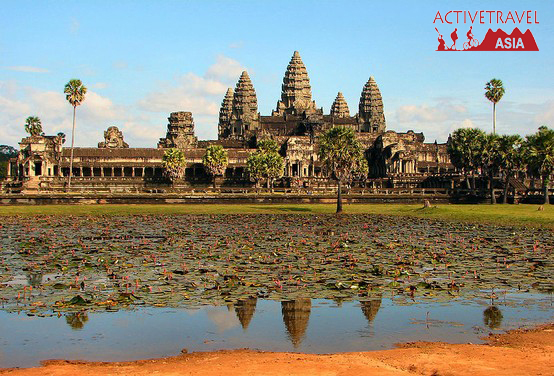 First of all when people refer to ‘Angkor Wat’, they are not normally referring to the Angkor Wat temple (the famous one, above); they are normally referring to the whole area of hundreds of temples, of which the temple is undoubtedly the most visited and most famous. The area lies just outside the town of Siem Reap, which acts as a launchpad for your visit and is full of hotels of all standards, and restaurants of all types of cuisine. To visit the temples, you will normally get picked up from your hotel by a tuk-tuk driver (cycling is possible, but the distances are quite large). 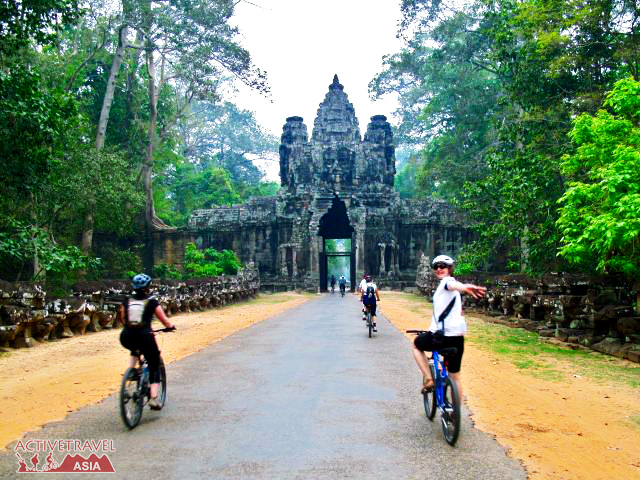 There are two main ‘routes’ around the main temples in the central region, but ultimately if you have done the research and wish to deviate from these paths, it is totally possible; your driver will take you where you want to go and when you do. Having said this, they know the area intimately, including the normal path of the crowds, so it can pay to heed their advice. I’ll deal with the main temple itself in a minute, but first I want to list some highlights that should not be missed. First is the temple of Bayon, in the centre of Angkor Thom (very close to Angkor Wat, much more spread out and less of one impressive structure). This temple, built in the 12th or 13th century is famous, for its multitude of mysterious faces looking out at you from every pillar. The size and number of them, along with the enigmatic smiles leave you feeling like it was built by some mysterious other worldly power. The picture below goes some way of showing what I mean, but it’s nothing compared to being literally surrounded by them. The next temple of note is Ta Phrom, often referred to by the drivers as the ‘Tomb Raider Temple’. Yes, it features in the Lara Croft film ‘Tomb Raider, but it’s so much more. This was probably my favourite of them all. More so than any of the other ‘main temples’, it has a sense of being reclaimed by nature. Some of it is in ruins, but none of the sense of scale is lost, and many of the ornate carvings still remain. 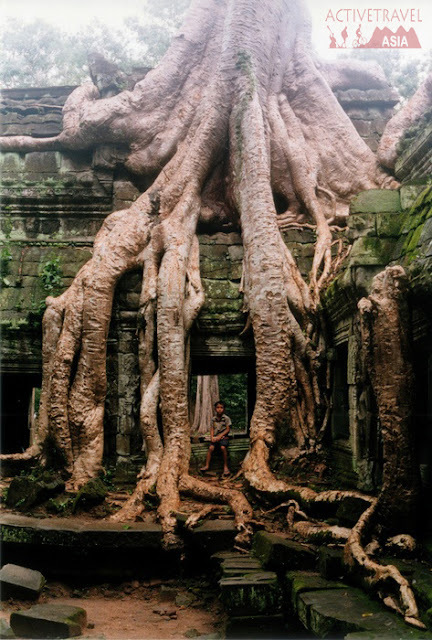 There are parts that are more tree than temple, and if the tree was to be removed the temple almost certainly collapse. It can get quite busy, but it’s not too hard to slip away from the crowds to find a place to sit alone and contemplate this really unique and special place. Now seems a good time to mention the maintenance work throughout the complex. In many parts of the temples you will see maintenance work being done – machinery, scaffolding, bricks with identification numbers etc. Some people I spoke to expressed disappointment at this, but I think if you look at the information boards regarding restoration it is worth it. (I even thought seeing the ancient stone work, and the jungle both juxtaposed against the moden equipment looked kind of cool in its own way!) It is in itself a wonder in itself that in the early 20th century, archaeologists were able to reconstruct from ruins in the centre of the jungle with very little equipment and no computers. Finally, some of the carvings have been restored and are not original. At first this can be off putting as you don’t know exactly how old what you are looking at is, but after a while it becomes easy to tell. It is a difficult debate, because restoration allows you to see otherwise ruined temples in their former glory, but it loses some authenticity. All I can say to this is they seem to have struck a nice balance between leaving some temples as they were found, and some restored. This brings me on to the last of the other temples I want to focus on – Banteay Srei. You’ll have to make a special request of your driver to get to here, as it a 30km drive through countryside to get there, but it is so worth it. If you go, go early and you may even get the place to yourself if you’re lucky. Hidden away in the middle of dense jungle, you begin to imagine being one of the original explorers who were told by the locals there were temples in the jungle ‘built by the gods’. This is one of the best temples to visit if you like the ornate carvings on the walls, as these are mostly in very good condition. Visit the museum there to learn about the restoration works. 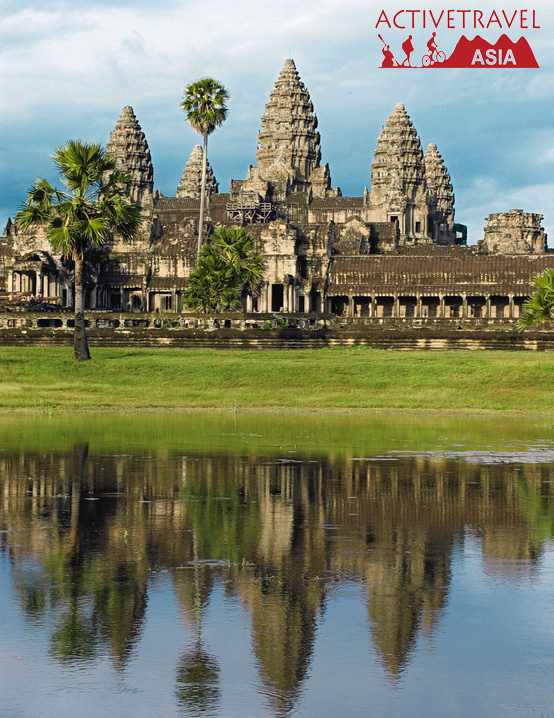 So with my highlights out of the way – the big temple itself, Angkor Wat. Yes, it’s crowded. Yes, it’s not the most ornate. What it is, is the most stunning example of what an early 12th Century civilization could do. With the central tower standing 65 metres tall, a grand walkway leading up to the central area, and a 190 metre wide moat surrounding the whole thing, it is hard to even begin to picture the amount of man-power needed to complete this wonder. It’s hard to say whether to see this first, or save it for last – we went for sunset of day 1 and it was reasonably quiet, but by then the carvings on the wall were not as jawdropping as the first ones we saw. Having said that the sheer scale, and it standing there in front of you, free from any overgrowth or collapsed wall eclipses anything you’ve seen before it. I think the best thing is to speak to your driver and see what he thinks it will be like on that day, but make sure you go at some point in your itinerary. The steps to the viewing platform close at around 5 though, so be careful (we missed it!). So to summarise; no trip to Asia can do without seeing these amazing sites. 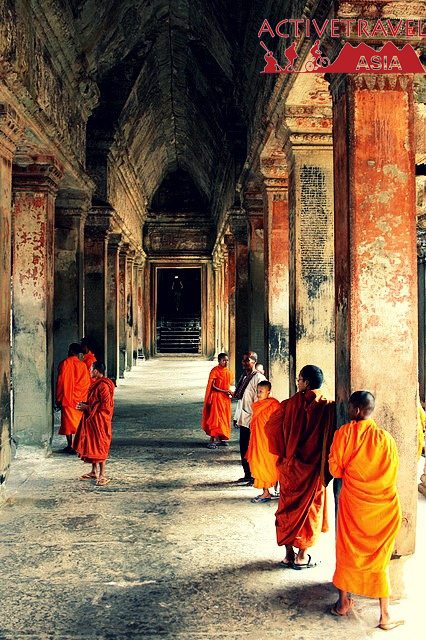 In fact, if you miss it on your first trip, it tends to mean you are not finished with South East Asia – you’ll be back! Nowhere else is the incredible history of this region as obvious, as magical, and as intriguing as here, made all the more unique by the collapse of the Khmer Empire and other tragic events in more recent Cambodian history. And in Siem Reap you have the perfect place to relax after a hard days exploring. Sure, it’s getting more developed and touristy by the day, but it is still so far off the situation at the pyramids you can still enjoy it without feeling like you’re on a conveyor belt, surrounded by McDonalds and tour buses. If you have not been here yet, add it to your list of future trips right now – you won’t regret it.